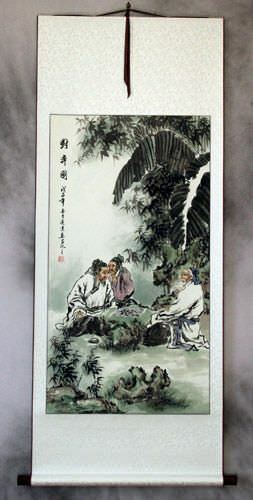 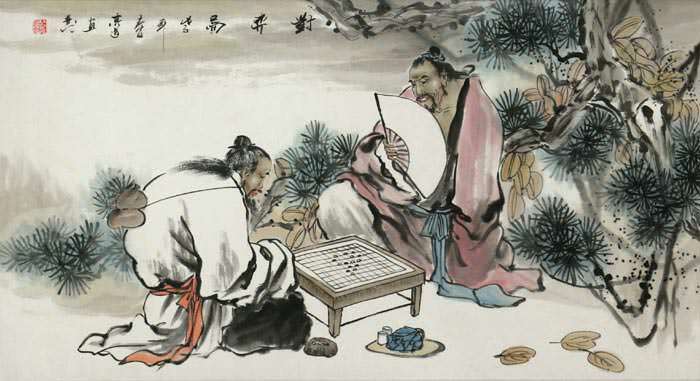 Silk/Brocade: 62.3cm x 153.5cm ≈ 24½" x 60½"
This depicts and ancient Chinese scene of noble men playing chess. 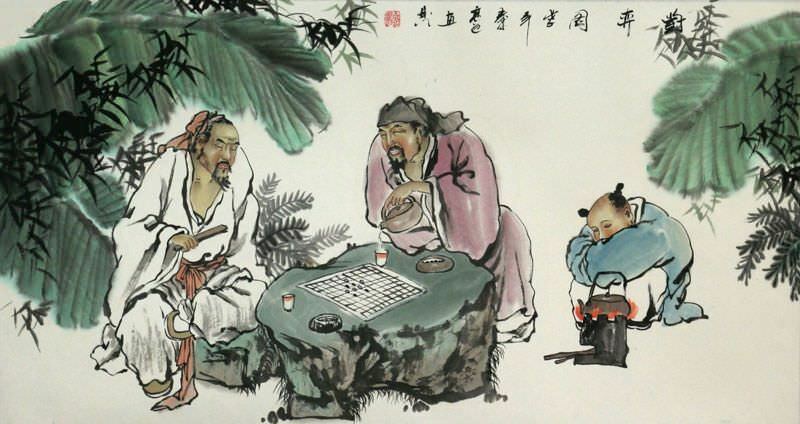 Their servant boy brews and pours tea as needed during the long game. 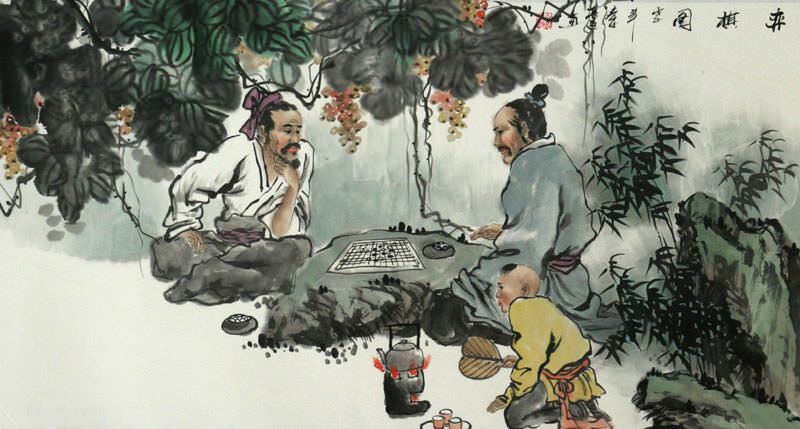 Note: This is an ancient form of Chess from China, not western-style chess. 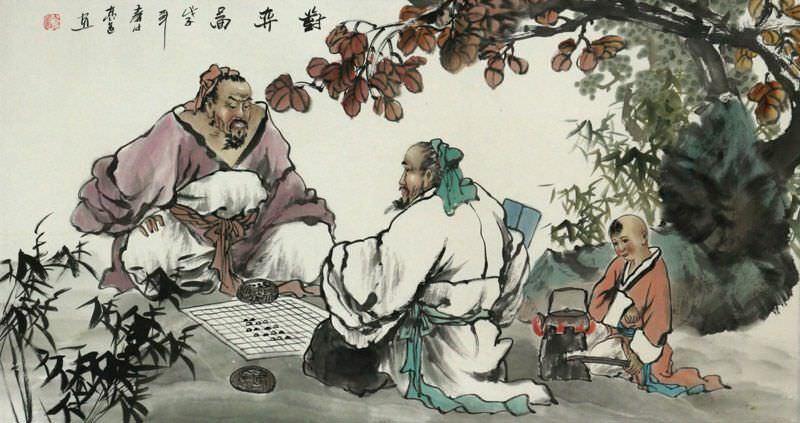 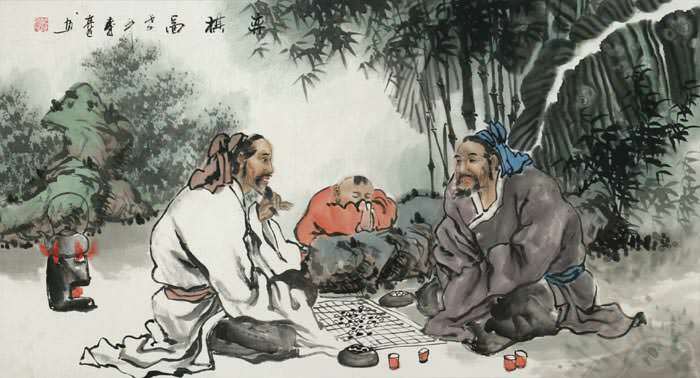 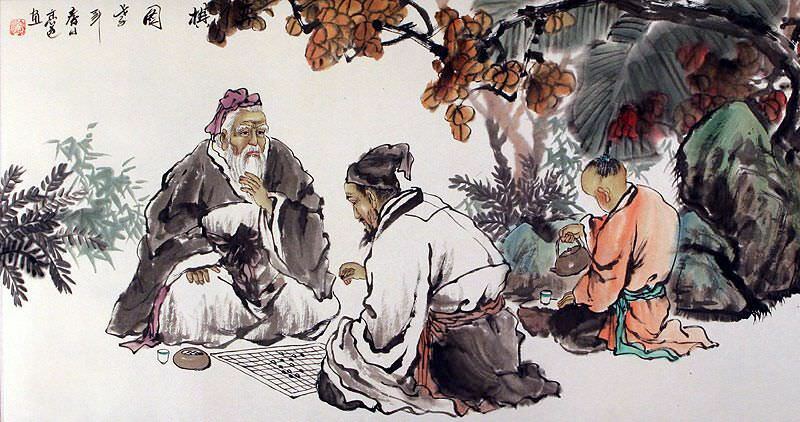 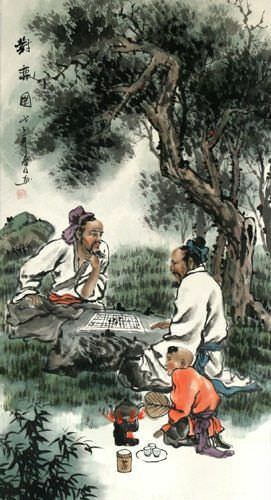 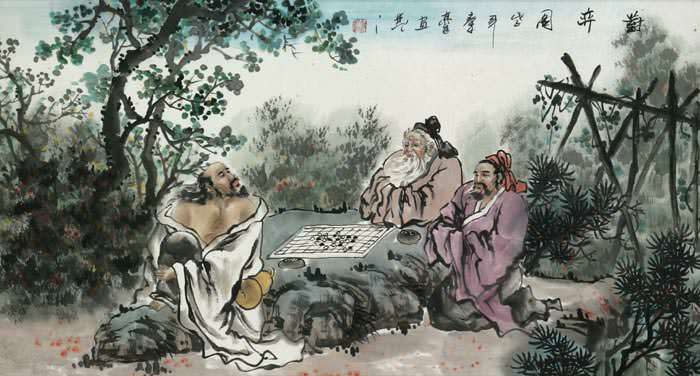 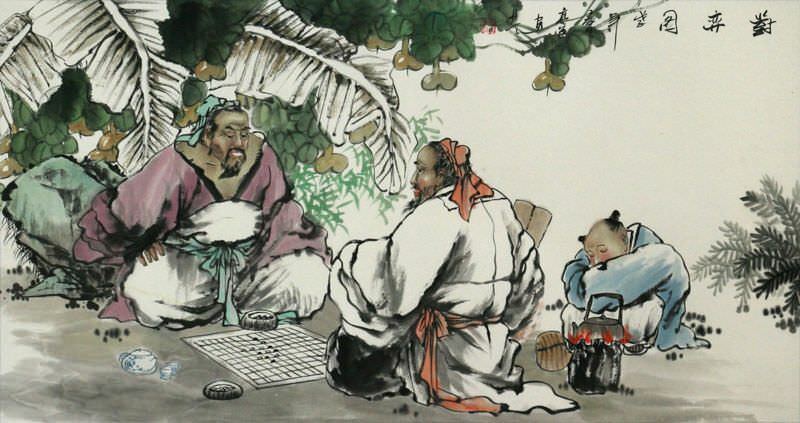 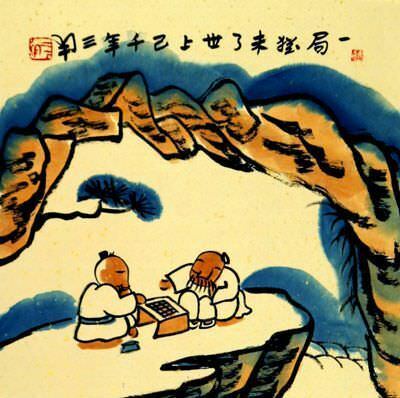 After the title "Playing Chess", the rest of the Chinese characters indicate the year painted (2008) and the artist's signature.